Bright makeup is a fun, trendy look for the summer! Color blockingÂ involves matching two or more shades for a fun way to play up color. This fashion trend also extends to the beauty scene. 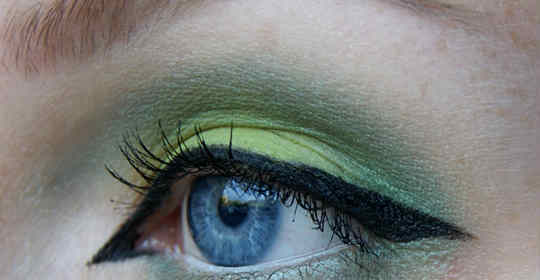 Either by blending two brightÂ eye shadowsÂ to create a colorfulÂ Â look, or by wearing a colorful array of makeup all over. Check out these lovely pictures for inspiration and create your own color block look. Which is your favorite color block makeup look?! Color block your eyes by mixing a bright blue eyeliner with hints of gold shadow and matte berry lips. Play up blue eyes with greens, teal, and white shadows. A dark and well defined line on your upper lashes makes for an intense look. This look is for the daring! Very intense bursts of color with a blocked shape to match. This is a perfect way to color block for summertime! The colors blend so well to create delicious looking lips. Pair with a confident smile! This is my favorite image. Mixing lime green lids with an intense black line on your upper lashes, and red-berry lips blends in perfect harmony when color blocking. Perhaps a bit intense for most, but looks lovely on this model. 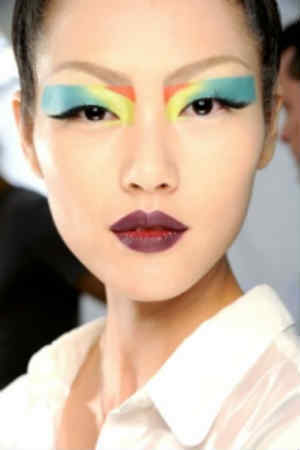 Would you try color blocking your makeup?! Whats your favorite color combinations to play with?! 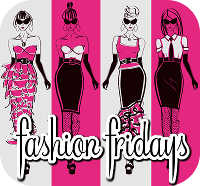 Stop by Blonde Episodes and check out more fashion posts by Kori and all the lovely blog hoppers!